Find Your Boat Dock Solution Today! JetDock offers the best in boat lifts and dock solutions, whether you're looking to lift a PWC, small boat or large performance boat. Our patended lift design allows easily drive on and drive off docking, making your trip on the water one to enjoy! Stop worrying and start boating. Click the images below to find out why! The Floating Boat Lift That Does It All! Boats (big or small), Jet Ski's, Sea Doo's, other PWC, Pontoon Boats, and even Seaplanes! Floating walkways are also available for easy access. 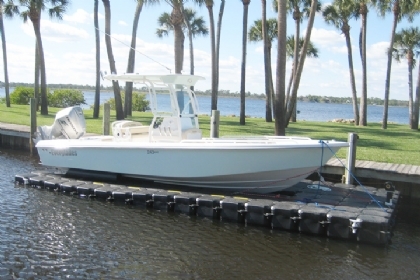 Our heavy duty boat lifts offer superior stability, enabling safe boarding. 270° of dry access for maintenance and cleaning tasks. The ability to dry dock a disabled craft by the means of a back-up safety winch. Resistant to Ultra Violet, various marine fuels, ice and impact damage. Incredible Value You Can't Find Anywhere Else! Eliminates your concerns for: rust, fading, rot, and splintering! Maintenance free and environmentally conscious! Modular design aids in future reconfigurations. Excellent resale value = wise investment. Saves you the hassle of trailering your watercraft. The ease and safety of drive-on docking and slide off launching. Your craft's exposure to the marine environment is reduced, preserving the sea worthiness of your watercraft. Why is a JetDock system a superior product compared to the rest worldwide? The answer is simply quality, ease of use, the ability to lift and dock your boat or PWC, and peace of mind.Drive-on accessibility makes JetDock systems the best floating boat lifts on the market today. JetDock's are so easy to use, to deploy your craft, simply drive off and you're ready to enjoy the water. Our floating docks are known for their versatility and work just as well with kayaks and jet skis, as they for large pontoon boats, catamarans, and yachts. Unlike other floating boat lift systems, there is no cranking or manual lifting required, making the use of our boating product an enjoyable experience. 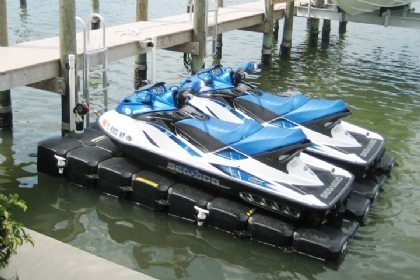 JetDock Systems don't use any electrical parts or require any complicated tools to install. 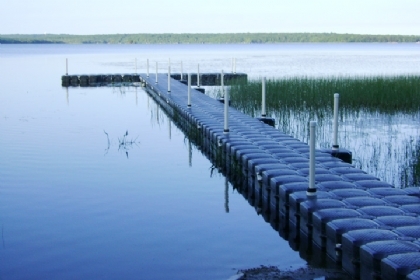 Our boat lifts and docks require no maintenance and are extremely portable for convenience. 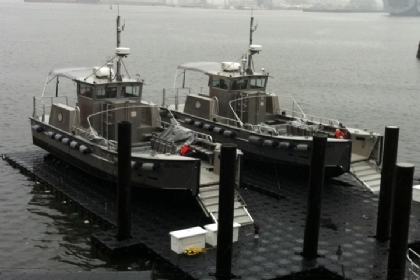 To find out why our quality floating boat lift systems are preferred by so many, please explore our site to learn more! Our pontoon boat lifts are very popular!As an additional service to our loyal customers and lift dealers, we are now providing marine forecasts and warnings for select lake and ocean regions. Should you have a region that you would like us to report on, please drop us a line!